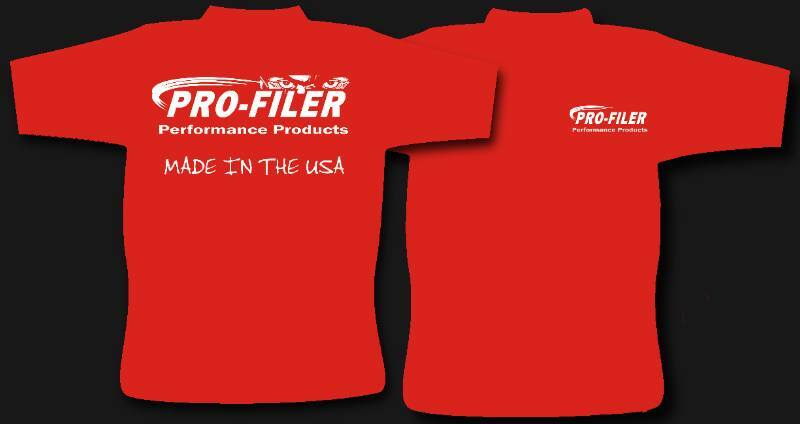 Limited Edition 100% Cotton Pro-Filer "All American" T Shirts with unique Pro-Filer All American Series Vertical Logo on the front. 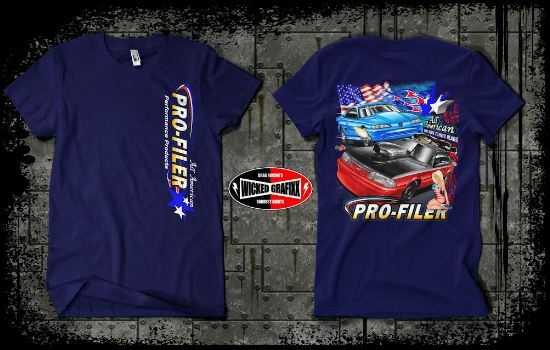 The back features a Patriotic Themed Turbo and Nitrous Mustangs ready for Battle! 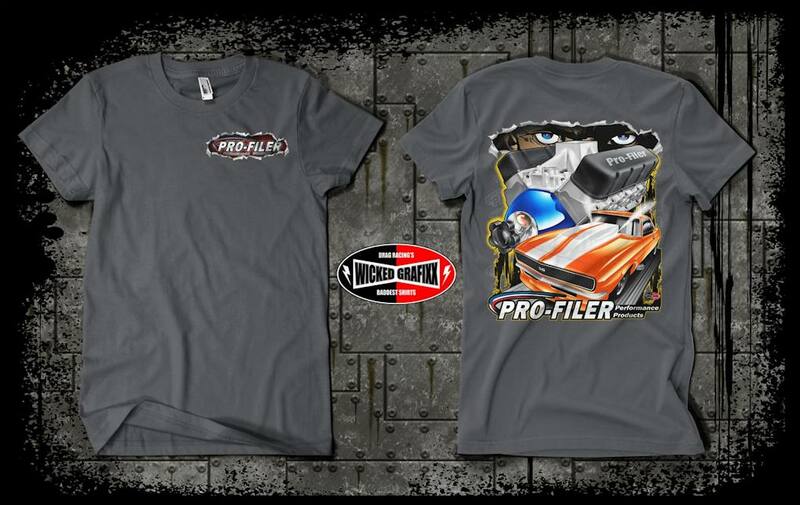 This shirts will start shipping September 29th, get your order in now! Available in Black, Red and Navy in sizes from Youth Small to Adult XXXL. 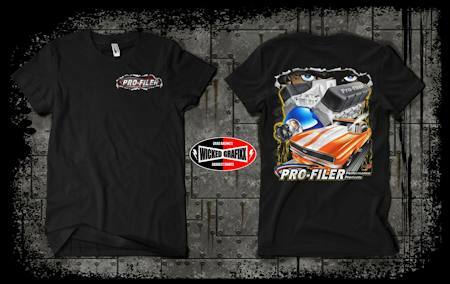 Limited Edition 100% Cotton Pro-Filer "Get Ripped" T Shirts with the Pro-Filer Logo on the front. 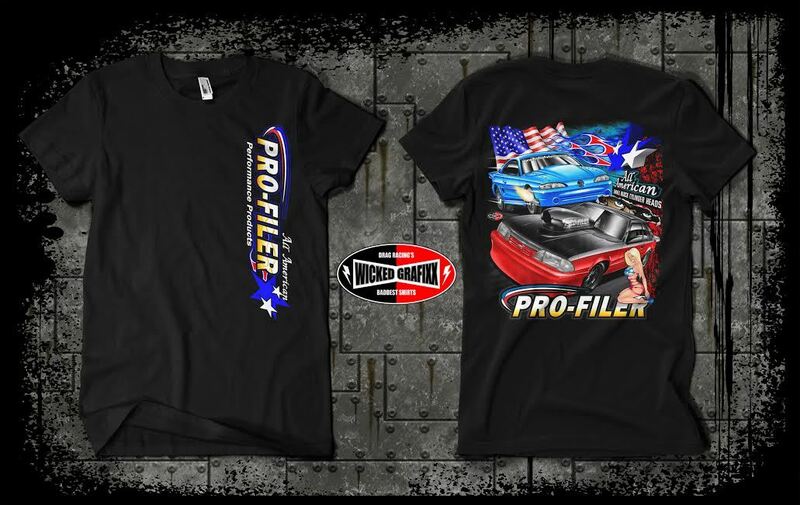 The back features a Big Block Chevy Induction System (Pro-Filer of course) bolted to a Nitrous Bottle and a Camaro purging the Nitrous! 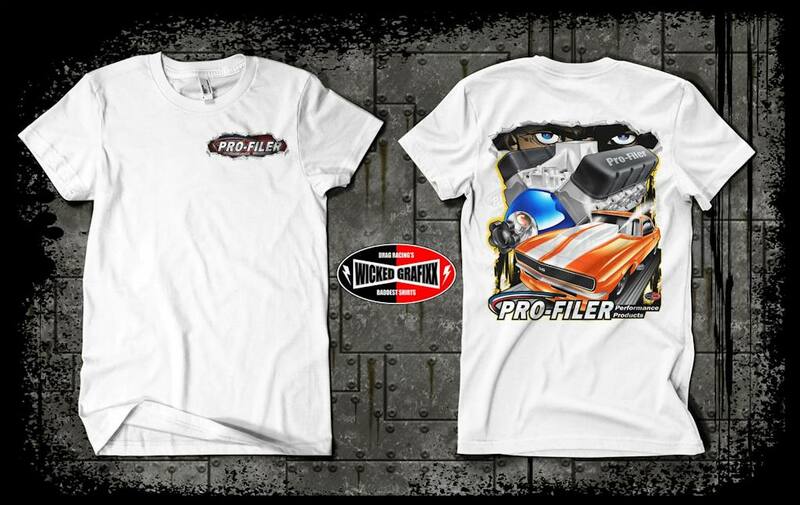 Available in Black, Charcoal and White in sizes from Youth Small to Adult XXXL. 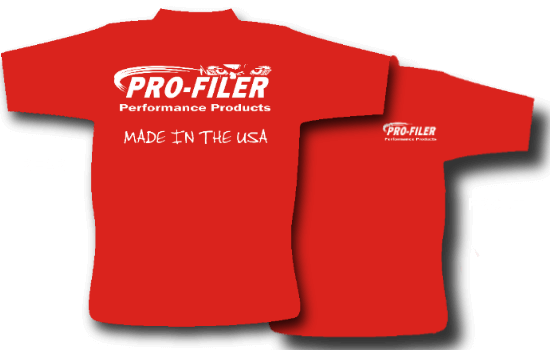 Bright Red Pro-Filer logo T- Shirt with small Pro-Filer logo in the front, and large Pro-Filer logo on the back. 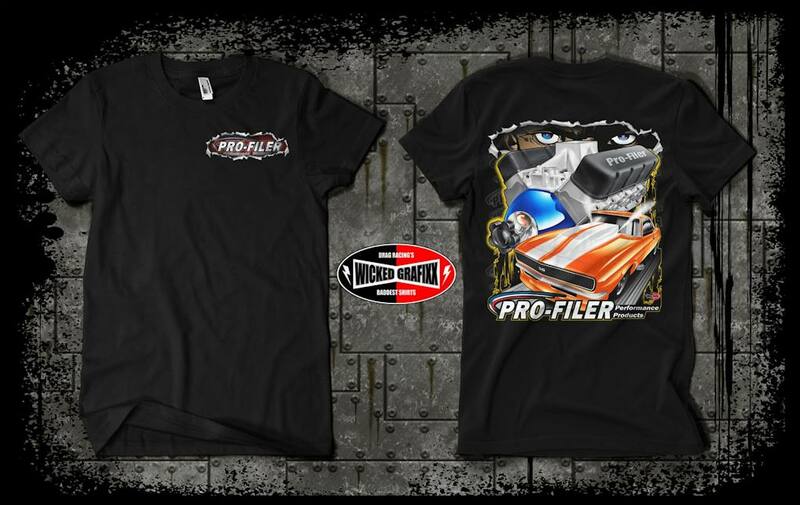 100% Cotton for great comfort. Available in sizes from Youth Small to Adult XXXL, Red Color Only.